Do you own several houses or accommodations? Do you enjoy home improvement ? Then this product might just be the perfect option for you! 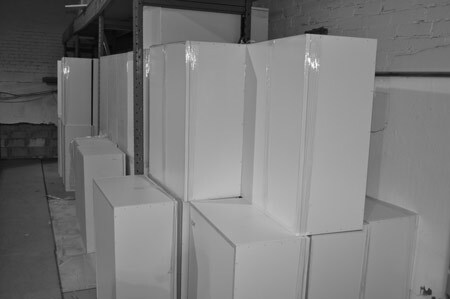 These white melamine cabinets come in multiple sizes and are ready to go. The doors are of white melamine with a woodgrain motif. Armoires à super prix offers you this range of kitchen cabinets at a very economic price. In order to revamp your kitchen on a budget, this high quality product is wise option. Just Pay and Go!